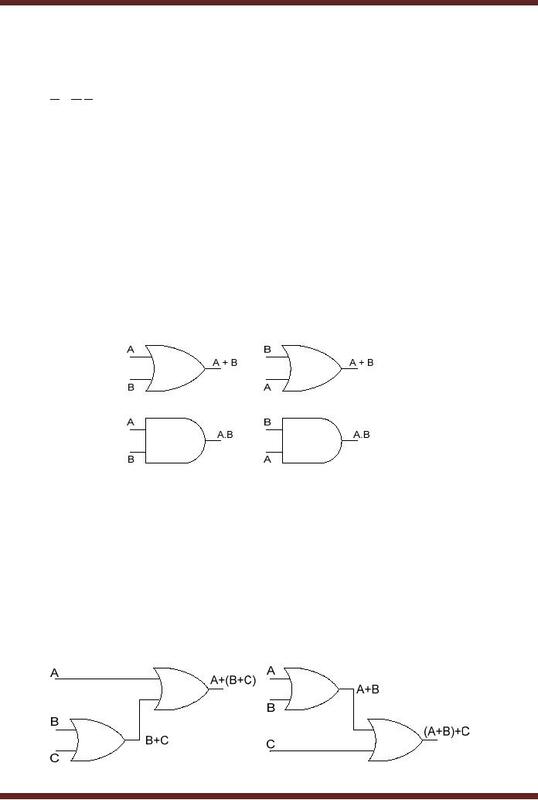 Any digital circuit no matter how complex can be described by Boolean Expressions. 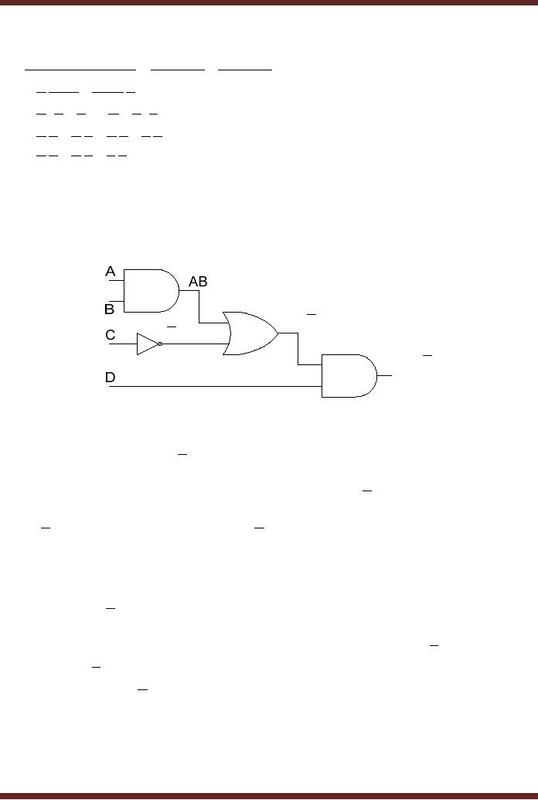 operations performed by the logic gates. 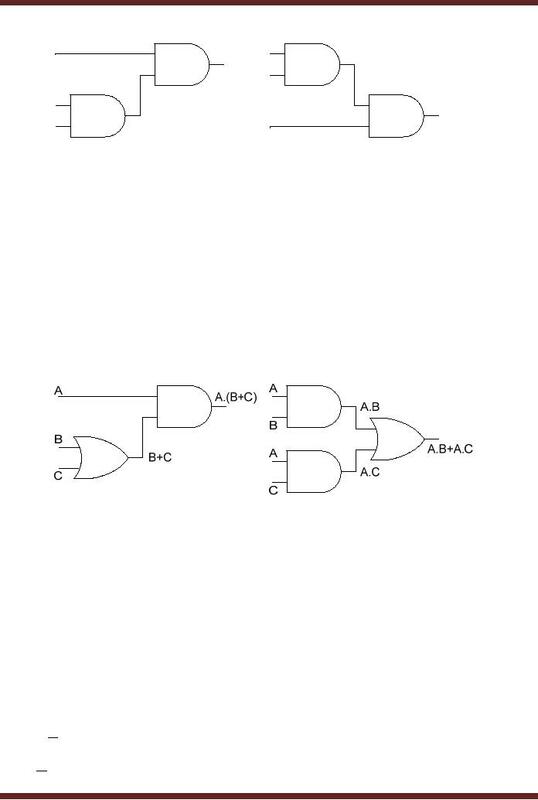 large circuits having many gates can be simplified and implemented using fewer gates. on the Boolean laws, rules and theiorems. A variable is a symbol usually an uppercase letter used to represent a logical quantity. A variable can have a 0 or 1 value. A complement is the inverse of a variable and is indicated by a bar over the variable. Complement of variable X is X . If X = 0 then X = 1 and if X = 1 then X = 0. A Literal is a variable or the complement of a variable. expression defining Boolean Addition is a sum term which is the sum of literals. A sum term is 0 when all literals are a 0.
expression defining Boolean Multiplication is a product term which is the product of literals. 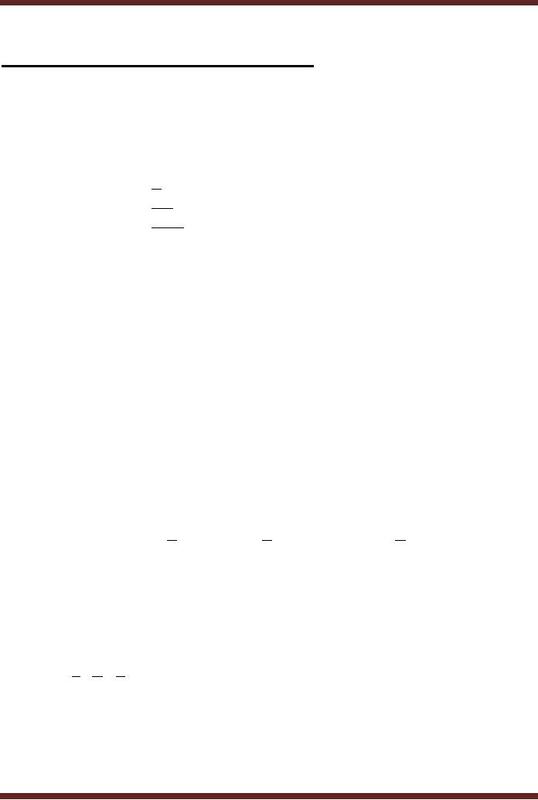 A product term is 0 when any one literal is a 0.
followed by the addition of literal C.
adding the result to the product of literals A and C.
to the sum of the complements of the variables. the product of the complements of the variables. 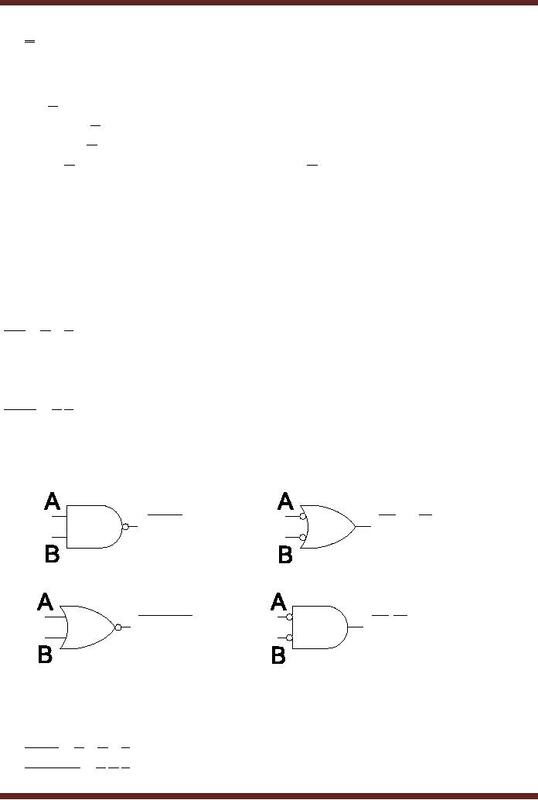 Boolean algebra provides a concise way to represent the operation of a logic circuit. 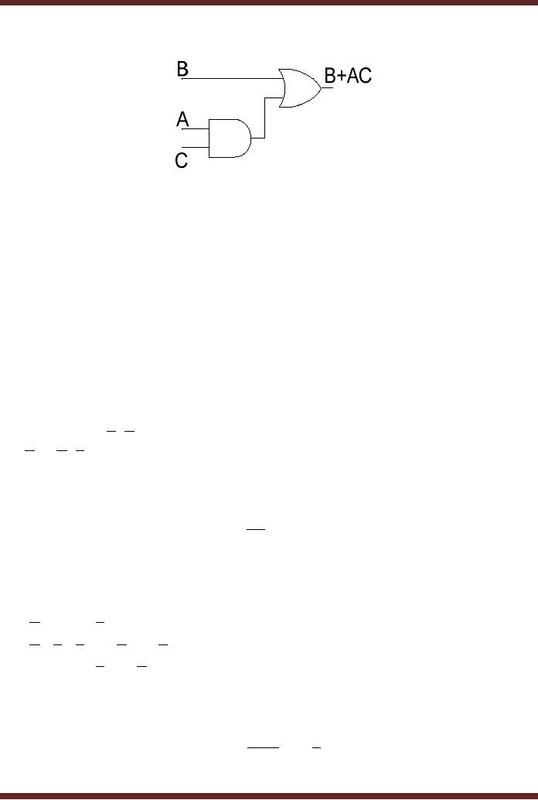 expression using different input combinations. (AB + C) and the literal D resulting in (AB + C)D .
expression (AB + C)D to 1 can be easily determined. From the expression, the output is a 1 if both variable D = 1 and term (AB + C) =1. The term (AB + C) =1 only if AB=1 or C=0. 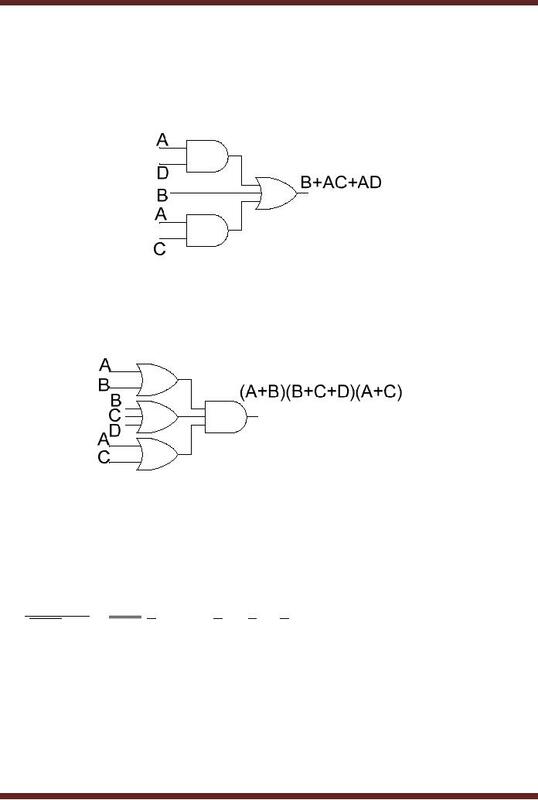 of Boolean Algebra. 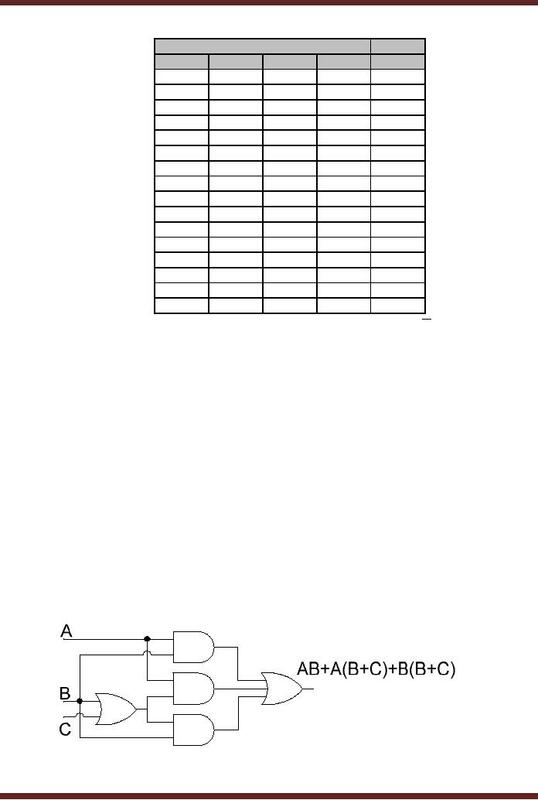 The simplified expression results in fewer variables and a simpler circuit. bar extending over the entire term, such as AB + C .
bar extending over the entire term such as (A + B)(A + B + C) . connected to the outputs of the OR gates.